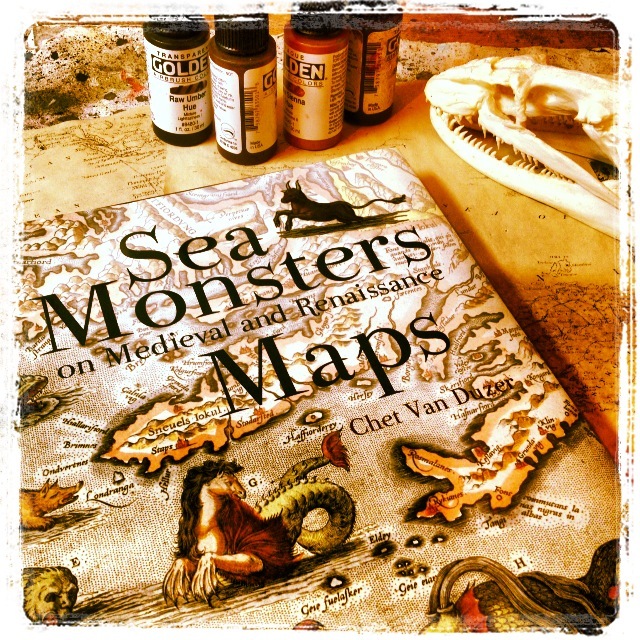 A while back I got a wonderful book: Sea Monsters on Medieval and Renaissance Maps by Chet Van Duzer. 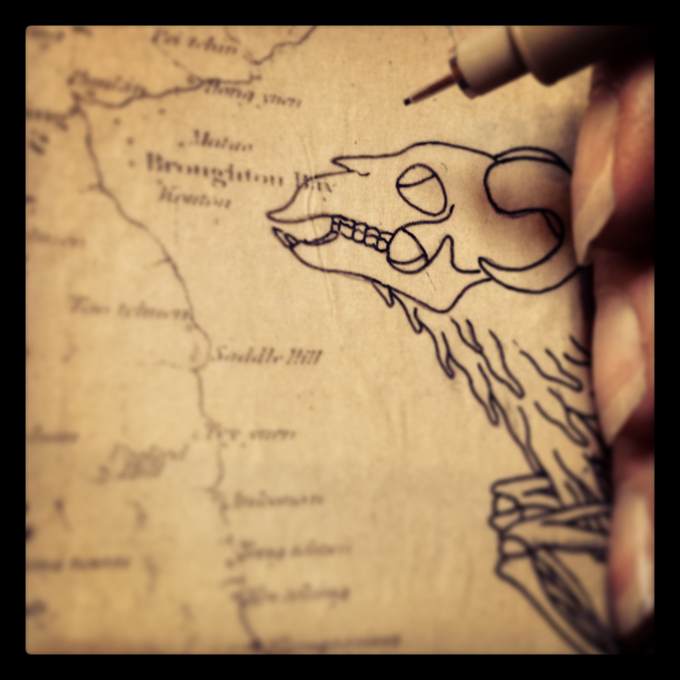 Old maps are fascinating to anyone interested in geography, but when I saw one, I always looked for the fantastic beasts lurking in the margins. It was the cartographer’s way of indicating the danger of travel and reminding us that we don’t yet know what’s out there in the unexplored corners of the world. 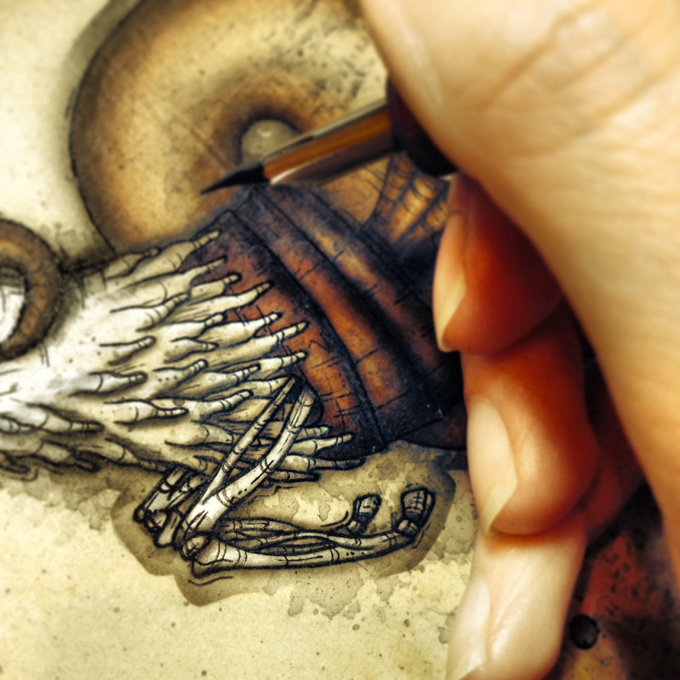 So when Modern Eden gallery put on a show with the theme “Wanderlust – works inspired by travel, far-away places, adventurous experiences and fascinating destinations”, I had to send in a seabeast of my own. 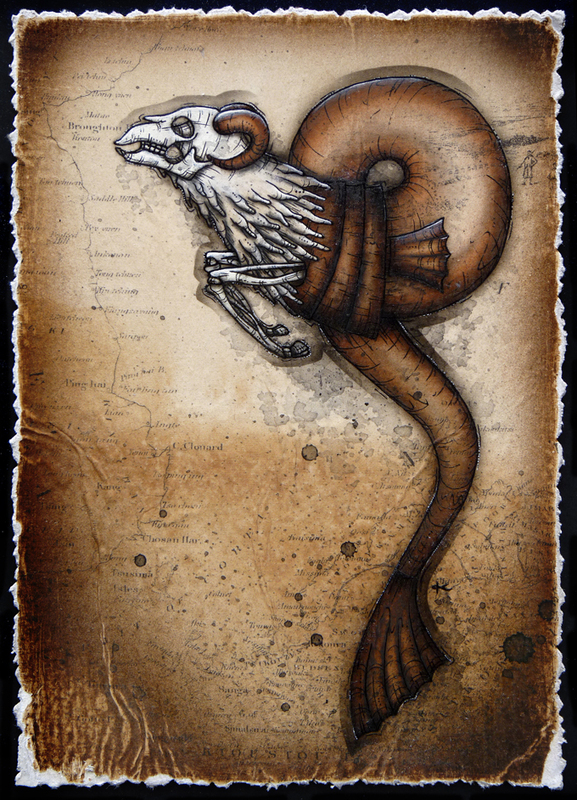 I was thinking about the old belief that every land creature has its sea-dwelling equivalent (which is why you get some very odd hybrid creatures painted in the sea on old maps), so I painted a woolly sea ram. The final piece is 5×7 inches, framed up in a matt black frame and is available from Modern Eden gallery: Wanderlust opens on the 14th of December and runs until the 11th of Jan 2014. Shiny guts. This show launches on the 13th of December, details here.